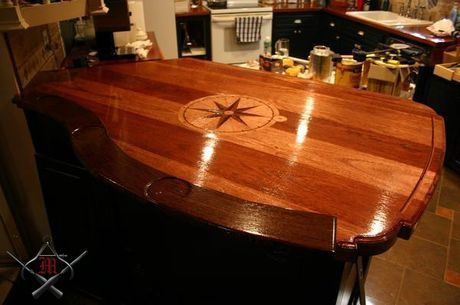 Lyptus® countertop with "Compass Rose" inlay. Inlay consists of Wenge; Birdseye maple, and Lacewood. 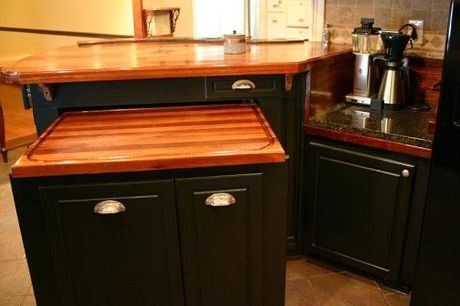 Bar surround on back of countertop. 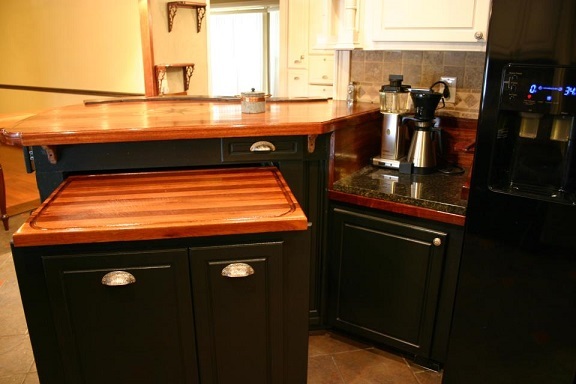 Pull-out butcher block with pull-out garbage can and knife drawers. 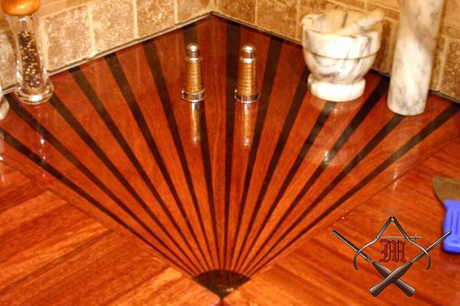 Fan corner section of Lyptus® countertop. 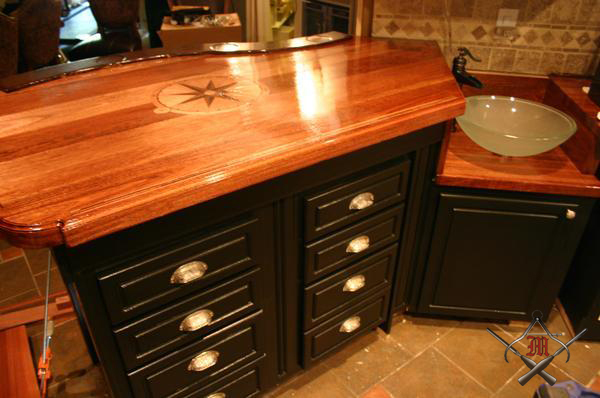 Wenge & Lyptus®.